Posted: Wed Aug 26, 2015 11:04 pm Post subject: [old] TriggerHappyGamers 6v6 Tournament! Hey all something kind of different this time rather than our in-house fun match's etc! 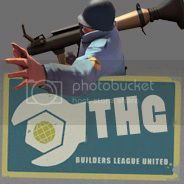 This is a tournament consisting of four teams of 6 (6v6 ETF2L config) on our #3 match server. Teams will need to be organized by one leader, and a deputy leader for any backup needed for the team prior to whichever team is in tournament on the stated time and date of match. Leaders will need to gather a team of 6 and if possible a sub or two, name for there team, chase up any missing team mates at the time of match etc. If you would like to be a leader of a team then please reply your interest with a post to this thread who you are, your eventual team mates names, team name. 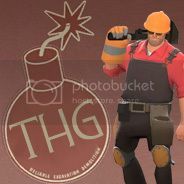 The usual team of 6 consists of medic,soldier(pocket), soldier(roamer), x2 scouts and demoman, although classes can be changed for sniper or spy or whichever, which sometimes happens in 6v6! Teams can practice against each other on the days that a match is not being played if they wish, leaders can organize this with me (but im only available from 6pm weekdays), binksy or any other red/+admin and can gladly setup the #3 match/event server for 6v6 (ETF2L config) and password protected. This Tournament will be a 4 team double elimination, 2 teams and the other 2 teams in match's being the first round, e.g winning teams from round one play each other therefore moving up to the winners bracket, losing teams from round one play each other, Winning team from the losers bracket will play the losers in the winning bracket and so on. If a team loses two rounds in a row hence the name double elimination that team will be knocked out of the tournament! Maps will be KOTH and cp maps as played in 6v6's! Hope ive included everything there is to know about this tournament and if not please feel free to ask any questions as a post to this thread or message me through steam friends. Team signups will need to be made within 3 weeks please, so before the 16th september if possible! The first round of the tournament will take place if and when we have four teams of 6 by the date mentioned, so say a week after the 16th, so the following monday being 21st september. so spread the word to your tf2 pals who you think will be interested in a little tournament of 6v6 hopefully two or three match's will take place weekly, monday, tuesday, thursday if possible and around 7.30pm! PRIZES WILL BE GIVEN FOR THE WINNING TEAM!! All welcome to sign up for this tournament! Posted: Thu Aug 27, 2015 5:44 pm Post subject: Re: TriggerHappyGamers 6v6 Tournament! MIG, this sounds really awesome. How serious can we take the class rules? For example; can we trade 1 scout permanently for 1 engineer for example. Are the maps already decided? Posted: Thu Aug 27, 2015 5:57 pm Post subject: Re: TriggerHappyGamers 6v6 Tournament! Posted: Thu Aug 27, 2015 6:36 pm Post subject: Re: TriggerHappyGamers 6v6 Tournament! Just looking at the tentative dates mentioned, some of us may be in Amsterdam for part of it - would we be able to postpone matches for that week? I understand subs should cover the normal holiday/family commitments/emergency but this may affect more then 1 or 2 individuals on any one team (dependant on team make up). Posted: Thu Aug 27, 2015 7:50 pm Post subject: Re: TriggerHappyGamers 6v6 Tournament! We can bend the rules a little i guess maps not decided yet but most likely be the stock maps! Owen it will be fine its also fun its not a serious tournament mind you you play a good medic! Just looking at the tentative dates mentioned, some of us may be in Amsterdam for part of it - would we be able to postpone matches for that week? &nbsp;I understand subs should cover the normal holiday/family commitments/emergency but this may affect more then 1 or 2 individuals on any one team (dependant on team make up). I understand that some will be on vacation/commitments etc if needed be we can postpone a match or match's while some of you are on vacation. Im easy going with this as i know some might not be able to make the match on a certain date and time this is why teams need subs just incase or if for any other reason maybe a team is down on teamates or cant play at all, then it will postpone and future date and time will be arranged. Posted: Thu Aug 27, 2015 7:55 pm Post subject: Re: TriggerHappyGamers 6v6 Tournament! Posted: Thu Aug 27, 2015 8:07 pm Post subject: Re: TriggerHappyGamers 6v6 Tournament! Posted: Thu Aug 27, 2015 8:08 pm Post subject: Re: TriggerHappyGamers 6v6 Tournament! I've got a team of 7 (just waiting for one for the required 8 players). I don't want to speak of I as a captain or leader, but you probably know what I mean. We still don't have a name yet, but we will decide that in the weeks to come! Posted: Thu Aug 27, 2015 8:43 pm Post subject: Re: TriggerHappyGamers 6v6 Tournament! Posted: Thu Aug 27, 2015 8:51 pm Post subject: Re: TriggerHappyGamers 6v6 Tournament! Also coins could you put your team mates names down please just so i know who everyone is so i can put it into my tournament notes. Posted: Thu Aug 27, 2015 9:05 pm Post subject: Re: TriggerHappyGamers 6v6 Tournament! Posted: Thu Aug 27, 2015 9:08 pm Post subject: Re: TriggerHappyGamers 6v6 Tournament! Posted: Thu Aug 27, 2015 9:10 pm Post subject: Re: TriggerHappyGamers 6v6 Tournament! Posted: Fri Aug 28, 2015 11:26 am Post subject: Re: TriggerHappyGamers 6v6 Tournament! Posted: Fri Aug 28, 2015 11:43 am Post subject: Re: TriggerHappyGamers 6v6 Tournament!